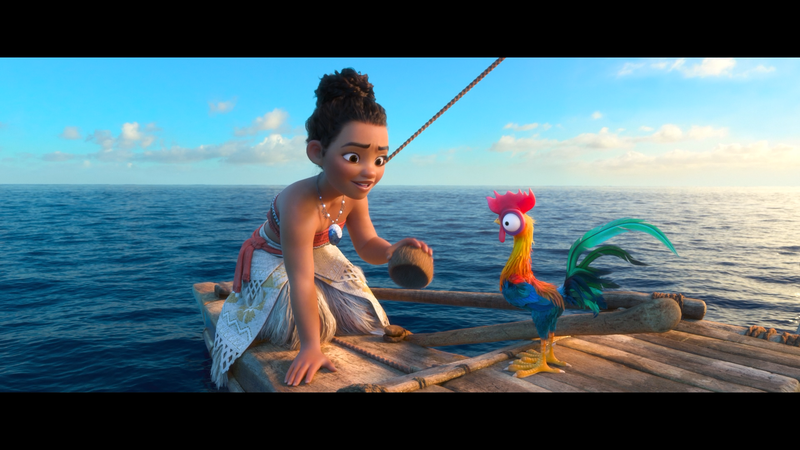 Plot Synopsis: Moana is about a spirited teenager (AULI’I CRAVALHO) who sails out on a daring mission to prove herself a master wayfinder and fulfill her ancestors’ unfinished quest. 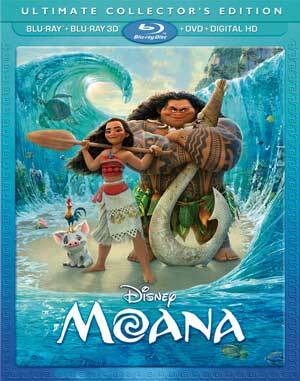 During her journey, Moana meets the once-mighty demi-god Maui (DWAYNE JOHNSON), and together, they traverse the open ocean on an action-packed voyage, encountering enormous fiery creatures and impossible odds. Quick Hit Review: For the most part, Pixar (owned by the Mouse Company) has dominated the world of animation but every once in a while, Walt Disney Animation Studios reminds us they release some quality films. Frozen was a big hit a few years ago and while it was enjoyable, I wasn’t quite as enthralled with it compared to some. I had similar feelings toward Entangled, though both of these were still entertaining. Moana on the other hand, seems to be a return to the classic animated musicals, a reminder of the likes of The Little Mermaid and Aladdin. The songs themselves are as memorable (How Far I’ll Go is my favorite) but they are all catchy and in conjunction with a well written story and two fleshed out main characters, this was one of my favorites of a rather weak year in films. 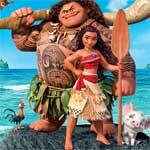 In the end, Moana is likely Disney’s best animated film since Beauty and the Beast and features two wonderful vocal performances with Auli’i Cravalho and Dwayne Johnson, the latter playing up to his strengths while the young Cravalho does nicely personifying Moana. The “Ultimate Collector’s Edition” release comes with a lenticular slip cover. Inside is a code for the Digital HD copy. Audio Commentary – Directors Ron Clements and John Musker guide viewers through the process of making the film offering tid-bits and trivia. Theatrical Short Film: Inner Workings (6:26; HD) is the story of the internal struggle between a man’s pragmatic, logical side and his free-spirited, adventurous half. Includes an intro with the producer and director (0:48). 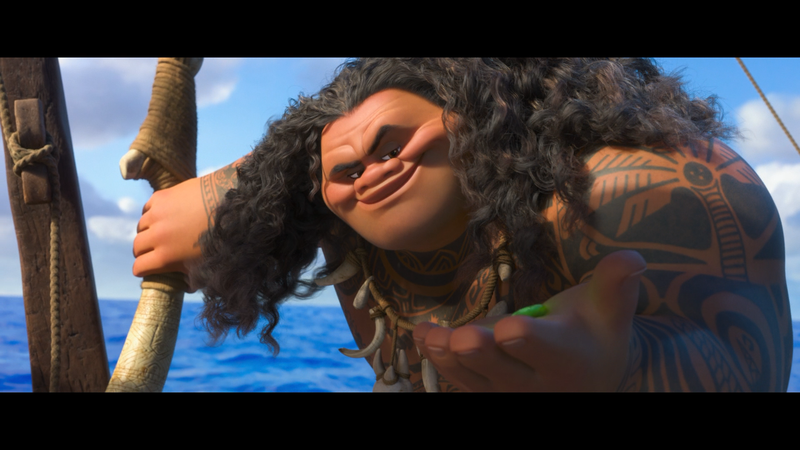 Maui Mini-Movie: Gone Fishing (2:29; HD) – When Maui decides it’s time to take charge of the ocean and catch his next meal, Moana must show him the error of his ways … with a little help from her friends. Voice of the Islands (31:13; HD) – Looks at how Pacific Island people and cultures inspired the filmmakers to create the story. Island Fashion (5:13; HD) – Find out how costume designer Neysa Bové took on the unique challenge of creating costumes using materials and techniques native to the islands of Oceania. The Elements of… (14:14; HD) – These mini-docs explore the technical achievements behind some of the ground-breaking effects used in the film. 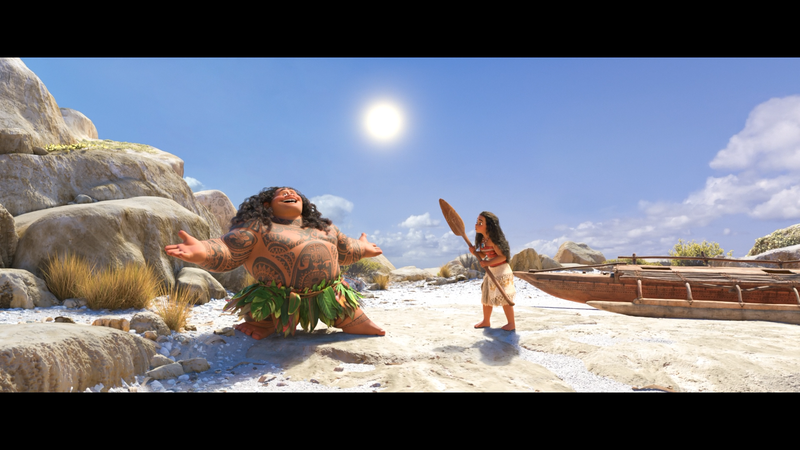 They Know the Way: Making the Music of Moana (12:37; HD) – Musicians Opetaia Foa‘I, Marc Mancina and Lin-Manuel Miranda take viewers on a journey through their involvement in the movie and how it changed their lives. Deleted Song (3:41; HD) for “Warrior Face” with an introduction by songwriter Lin-Manuel Miranda. Fishing for Easter Eggs (2:52; HD) looks at the various little eggs placed into the movie by the animators. Hosted by Auli’i Cravalho. Deleted Scenes (25:56; HD) – There are seven (unfinished) scenes that didn’t make it into the final film. The play all option comes with intros by the directors. Last up is the Music Video (3:04; HD) for “How Far I’ll Go” performed by Alessia Cara. Moana rides onto Blu-ray presented in its original theatrical 2.39 widescreen aspect ratio and given a 1080p high-definition transfer. First, the 3D version: it looks absolutely fantastic. 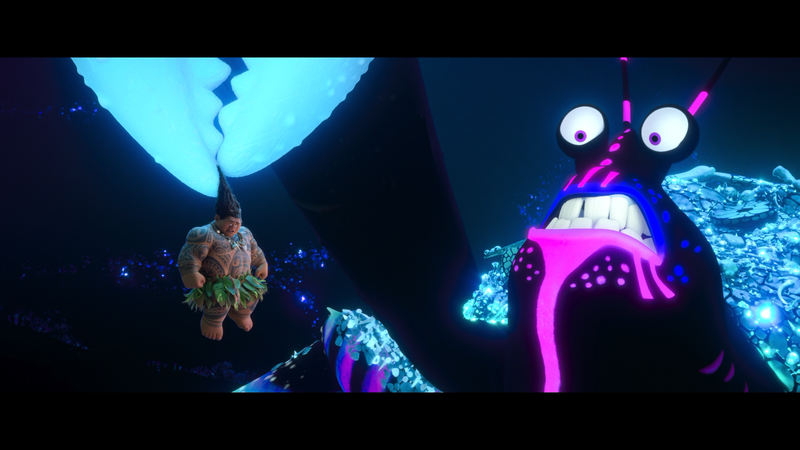 Obviously, in most cases anyway, animation tends to benefit on 3D as colors tend to be bright and there’s better depth and here, especially when Moana and Maui are on the ocean, it is absolutely brilliant looking. Not to be completely outdone, though, the standard Blu-ray also looks fantastic. Colors are brilliantly bright throughout, detail looks sharp and I did not notice any obvious signs of artifacting or banding, the latter of which can permeate even the best of animated productions. Both the 2D and 3D discs come with 7.1 DTS-HD Master Audio tracks. This lossless audio sounds amazing both for the quieter scenes as well as the more action-centric ones not to mention the musical numbers which boosts out of every available channel. Although I wish Disney would utilize the newer Atmos or X options, this is still an all-encompassing track. 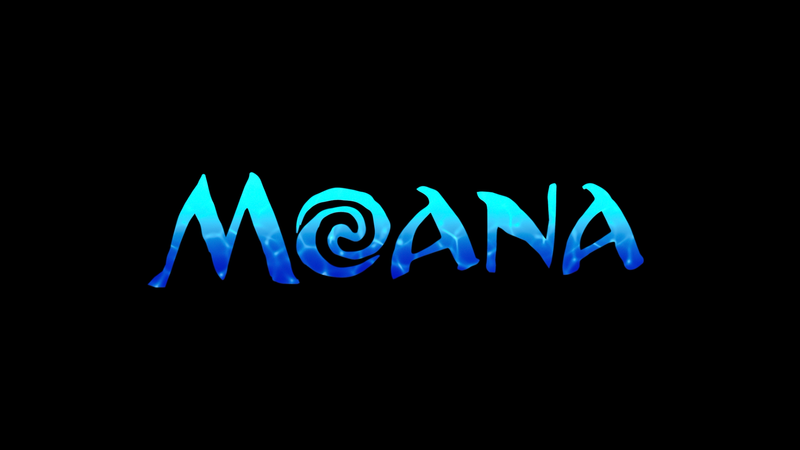 Overall, Moana is a fantastic musical animated film from Walt Disney Animation Studios and maybe one of the best by the studio since Beauty and the Beast, though in general Pixar is still king with pulling at the heartstrings. This 3-disc “Ultimate Collector’s Edition” release offers excellent video and audio transfers and a fine selection of bonus features.